Glenn Tyndell was able to elude sheriff's deputies who tried to track him down in the days before the 37-year-old Maryland man showed up at the Brandywine home he once shared with his wife and gunned down Prince George's County Police Cpl. Mujahid Ramzziddin. Tyndell had a long history of domestic violence, an active protective order against him and three open warrants, including for assault. WASHINGTON — The man who shot and killed an off-duty Prince George’s County police officer Wednesday had a long history of domestic violence, an active protective order against him and three open warrants, including for assault. 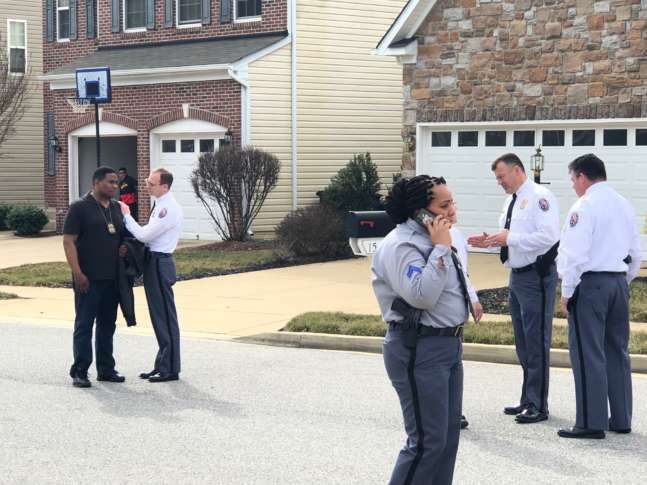 But authorities say Glenn Tyndell was able to elude sheriff’s deputies who tried to track him down in the days before the 37-year-old Maryland man showed up at the Brandywine home of his estranged wife and gunned down Prince George’s County Police Cpl. Mujahid Ramzziddin. Prince George’s County State’s Attorney Angela Alsobrooks revealed Thursday that Tyndell was also scheduled to be arrested in a “warrant sweep” Wednesday evening. The search for Tyndell initially dated back to a Jan. 20 theft charge. But the search intensified after his estranged wife was granted a protective order Feb. 15, Alsobrooks said. Tyndell’s wife said he assaulted her, and she also told authorities he had a gun. The Prince George’s County Sheriff’s Department then elevated his capture to its “high-risk” squad. Deputies reached Tyndell, who worked for Metro as a rail-car HVAC technician at a Maryland rail yard, on his cellphone the Friday before Presidents Day, the sheriff’s office said. He told deputies that it was a holiday weekend and that he didn’t want to go to jail for three days, said Sharon Taylor, a spokeswoman for the sheriff’s office. Metro Transit Police told deputies they would hold Tyndell when he arrived for work for his next scheduled shift Monday. Tyndell never showed up for work that day, Taylor said. Alsobrooks said Tyndell’s history is a reminder to renew the county’s commitment to ending domestic violence. Earlier this year, another woman — Tyndell’s ex-wife, whom he divorced in 2013 — had sought a temporary protective order against him, but was denied one because the burden of proof was not met, according to online court records. The courts granted her a protective order against him last July. During the news conference, Stawinski also provided more details about what led up to the shooting Wednesday. Ramzziddin, a 14-year veteran of the Police Department and a father of four, had a conversation with Tyndell’s estranged wife the day before the shooting. He and Tyndell’s wife had been neighbors for the past few years, investigators said, and she may have asked him for help because she frequently saw his marked police car parked in the neighborhood. The estranged wife planned to visit the house on Chadd’s Ford Drive after being away for about a week to try to get some of her belongings out of the house, Stawinksi said, and when Ramzziddin saw her across the street the next morning, he went to check if everything was OK. The woman, who was with two other people, had some concerns about going into the house, police said. Ramzziddin offered to go in and allay those concerns. Ramzziddin was out of uniform, but he had his gun and police radio with him, investigators said. Tyndell was not at the house, but police believe he may have been tipped off to his estranged wife’s presence at the Brandywine home through a home security system, Stawinksi said. Ramzziddin was outside the home when he saw Tyndell arrive armed with a shotgun, police said. Stawinski, who watched video footage of the shooting captured on a home security system, said Tyndell shot at Ramzziddin five times with a shotgun before driving away. 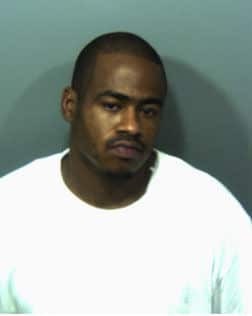 Tyndell was later shot and killed by police on Maryland Route 210 after a brief chase. Neighbors in Brandywine said they were deeply shocked by Ramzziddin’s death. James Smith, who was Ramzziddin’s neighbor, said he was a good guy. “When I met him, he was actually playing with his son with remote controlled cars … he sounded to me like a very family-orientated person,” Smith said. WTOP’s Nick Iannelli, Kate Ryan and Chantalle Edmunds contributed to this report.